Home > Old World Christmas - Traditional Glass Christmas Ornaments > Old World Christmas Glass Ornament - "Barbeque Sauce"
Barbecue sauce (BBQ sauce) is used to flavor, marinate, baste and top meats. This popular condiment varies widely in spiciness, sweetness and tang. Even the base for the sauce varies from vinegar and mustard to tomato. 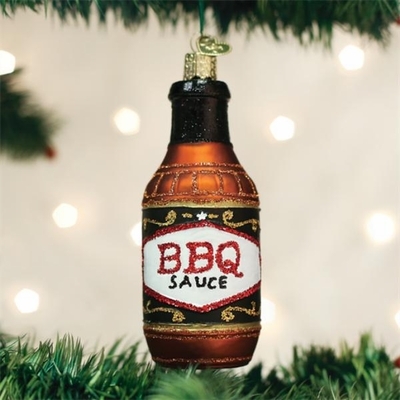 Either way, a good barbecue sauce can add amazing flavor to a backyard barbecue.